Previous Article Are you experienced? It’s March. That means it’s the time of year that gardeners across Hilton Head Island and Bluffton, long itching to dig in the soil again, will be pulling out their hoes and trowels and set about planting their first crop of the new year. Some will plant their garden in their backyard. But many others without a back yard, or with one too small to fit their ambitions, have the opportunity to turn to a community garden where, for a fee, they can plant to their heart’s content in their very own vegetable patch — or double up with two. The gardeners in the community gardens form a community among themselves — sharing conversations, swapping plants, trading growing tips and admiring the vegetables they all produce. They will begin reaping the crop they are planting now in May and June when they will be able to enjoy Nature’s bounty. The three community gardeners featured here tell of the joy of their gardens. As a kid, Chris Wagner did all the dirty work in his parents’ garden in Connecticut – the weeding, the mulching and the carrying of buckets of water from a well to pour on the plants. But today Wagner joyfully tends to his two garden plots in Heritage Farms, the community garden in the Sea Pines Plantation. One plot is 20 feet by 40 feet and the other is 20 feet by 20 feet. His mother has a garden plot nearby. Like gardeners across Hilton Head Island and the Bluffton area, Wagner was gearing up with the approach of March to plant the first of his summer crop. He plants a crop for every season, keeping him in fresh vegetables the year around. In his spring planting for summer, he puts in tomatoes, lettuce, spinach, carrots, arugula, cabbage, cucumbers, squash, zucchini, radishes, broccoli, string beans, peas, Swiss chard and red potatoes. Wagner said he plants in March and April for harvest in June. He begins in early March, planting a little of everything and taking a chance on it being nailed by a frost. If the early plants are nipped by frost, he explained, he’ll replant them. But if they aren’t, he said, he’ll have a leg up on picking his first vegetables early. In June, July and August, he plants and picks peppers, okra, eggplants, basil and sweet potatoes — the only things, he said, that grow in the heat of summer. Fall planting occurs in the second or third week of September when he puts in cabbages, turnips, beets, spinach, broccoli, string beans, arugula and cauliflower. For winter, Wagner plants vegetables that will survive cold weather and deep frost – onions, carrots, kale, collard greens, Brussels sprouts and spinach. The Brussels sprouts and carrots get sweeter when there’s frost, he reported. Wagner said he “never, ever” uses pesticides on his garden. HOW TO PREPARE: Pre-bake crust for 5 minutes at 400 degrees in the oven until it turns brown Let crust stand for 10 minutes Put onions in the crust and top with Swiss cheese In bowl combine the rest of the ingredients and pour over the top Bake 15 minutes at 400 degrees Reduce heat to 325 degrees and bake 25 more minutes Pull out of the oven and let it cool completely If you have any left over shrimp, mushrooms, crabmeat, bacon, sausage or peppers in the refrigerator, don’t hesitate to add them to the pie. The soil is important, Wagner stressed, and said he tills under and composts the roots of his vegetables when the plants are done and mixes in cured horse manure, that’s been aged six months, from a stable across the road. “It’s important to renourish the soil or the plants get small and straggly,” he said. And as he did as a child, he’s weeding and watering his garden – every day. In addition to enjoying the bounty of his garden, Wager gives away vegetables from it to his doctor, his mechanic, others he deals with and friends. He also donates some of his crops to Deep Well. In addition, he said, two plots in the Sea Pines Community Garden are devoted to Deep Well and the gardeners with other plots, himself included, volunteer in taking care of those plots. 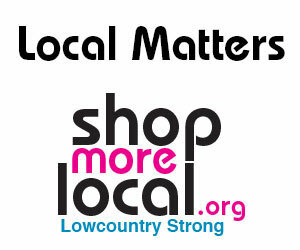 is to help build sustainable communities in Beaufort County that benefit the planet, its people and prosperity. It hosts an annual Earth Day Celebration and Sustainability in Golf educational events, and is conducting a Baseline Sustainability Assessment to evaluate where the Hilton Head Island is today, to determine where it can go in the future to be more sustainable. Visit www.experiencegreen.org to learn more. By the age of eight, Harry Bull was doing a man’s job on his family’s farm in North Carolina, driving a team of mules and pulling a plow behind him. The farm had been established by his great-grandfather, a successful tobacco grower, in 1840 and remained in family hands until 1995. The 92-year-old Bull said that in addition to field crops of tobacco, corn, wheat and oats, his family maintained a vegetable garden which kept them in wholesome food the year around. A specialty of his father’s from the family garden, he recalled, was his watermelons — ruby red, sweet and juicy, the best. “He did the same thing with the vegetables,” Bull added. Today, Bull tends to two garden plots in the Hilton Head Plantation Community Garden, each 25 feet by 25 feet, on which he has erected eight raised beds in which to plant his vegetables. Each bed is 22 feet long, 42 inches wide and 12 inches deep. Like his father, he spaces his plants a foot apart. If he did it again, he said, he’d make the raised beds 18 inches deep. Bull plants three times a year. He doesn’t plant in November. But some of his earlier crops of cabbage, cauliflower, broccoli, carrots, lettuce, spinach, beets and radishes lasted into the colder months until a frost got the best of some of them. Earlier in the year he plants heirloom tomatoes, peppers, snap beans, peas, potatoes, onions and squash. He freezes the juice from the cull tomatoes — those that didn’t get as big as the regular tomatoes — and puts it up in pint jars. Bull was preparing to plant his summer garden, which he planned to do between March 15 and 20. He expected to plant about 15 different vegetables. This crop will be over by July, he said. During the summer, about the only things that will grow are okra and black-eyed peas, he went on. In September, he plants his fall garden which will have eggplant, cabbage, turnips, and lettuce among other vegetables. Bull makes his own soil and said that is key to producing a good crop. For a period of about 30 years, Bull did no gardening. In 1940, he went off to college. A year later he left to take a job and, in 1942, after World War II broke out, he enlisted in the Navy. Following his discharge in 1946, he went into business and in 1952 he moved to Orlando, Fla., where he again took up gardening — but not until 1971, the result of a visit to Japan the previous year. Bull went to Japan on a business trip and while there visited Osaka where he saw the homes of factory workers, each of which had a square garden in the front yard. He said he was struck by how the vegetables growing in the garden plots were planted every which way rather than in rows as he was accustomed to seeing. He went home and started his garden the next season, planting his vegetables the Japanese way — every which way — a practice he follows today. If you can’t find a country ham, use a lean port chop cut into small pieces of ¼ inch or use some bratwurst. Mix with juice from tomatoes and slow cook 8 to 10 hours. Never bring to a boil, only simmer. Ever since then he has been eating healthy with fresh vegetables as he did growing up on the farm. At 92, he is in excellent health and is proud of the fact he takes no pills, a condition he attributes to eating well growing up. Bull said a garden patch 25 feet by 25 feet is large enough to feed a family of six throughout the year — allowing other folks to enjoy the same good health. Bull remembered one time when, as a boy, he remarked to his mother that they were poor, and his mother scolded him and said that wasn’t true. “That was because every time my husband and I would go out shopping, I would come home with more plants to put into my garden,” Nagy explained. Nagy has been gardening ever since she took a biology course in high school back in Ohio. She said she began with growing flowers, but soon moved on to vegetables. Today, she tends a 24 foot by 24 foot plot in one of the three community gardens in Sun City. Her garden was the first in the complex. Nagy said she has been working her plot in the community garden, located on the east side of Sun City Boulevard, for eight years after waiting for two years on the wait list for a patch in that garden to become available. The entire garden, which has 55 or 60 plots, is fenced in to keep out the deer in the area. All three of the gardens in Sun City are fenced in for that reason, she said. Nagy is president of the Okatie Farmers Club, to which those gardeners in Sun City who grow vegetables belong. It differs from the Advent Gardeners Club at Sun City, whose members grow flowers and herbs in their garden plots. Nagy said she has been gardening all of her adult life. Nagy said she plants new crops three or four times a year. She began this year by planting her Irish potatoes in the first week of February. In late February or early March, she planned to plant peas, lettuce, radishes and carrots. In mid-March, she will follow with tomatoes, peppers, eggplants, green beans and squash. All are for late spring, early summer harvesting. Come May, she will plant another crop of green beans and sweet potatoes, which will tolerate the heat of summer. Nagy said in September, October and November, she will plant her cold crops — broccoli, Brussels sprouts, cauliflower, collard greens, lettuce and spinach. Asked which vegetable was her favorite, she said she had none. Nagy grows her vegetables in raised beds and said the club recommends to members that they use raised beds. She said raised beds prevent plants from being swamped by water in a heavy rainfall and hold moisture in the summer. Her raised beds are 8 to 10 inches deep. She has four of them with 18 inch walkways between them. “A lot of people have raised beds,” she reported. Nagy said she bicycles to her plot to take care of it. She said she only needs to go three times a week to water and weed it and to pick ripe vegetables. She was hoping the recent cold spells, which nipped her garlic, hadn’t killed it. Nagy said when her vegetables come in and they have more than she and her husband can eat, they give the excess away to friends and neighbors. Similarly, she said, when she buys more plants than she can fit into her garden plot, she’ll offer those she can’t use to her fellow gardeners. Nagy is appreciative of the longer growing season in the South. She moved from Ohio, where she said the growing season runs from Memorial Day to Labor Day, to Fort Mills in northern South Carolina, near Charlotte, where the season was much longer, in 1995. It has been longer yet since her move to Sun City. In addition to the garden where she has her plot, there is a much larger, newer, garden with 250 plots across the road on the west side of Sun City Boulevard. The third community garden in the Sun City complex has 26 plots. The next meeting of the Okatie Farmers Club is scheduled for 2 p.m. on March 17, according to Nagy. At that meeting, she said, Jasper Feed and Seed of Ridgeland will be there with an array of plants for March to sell to members. Nagy said the Okatie Farmers Club was founded in 2003 by Bob Ciehanski, who recently moved from Sun City to Columbia, S.C., to be nearer his daughter. She said it is named for the Okatie River which runs through the area. Heat butter in 1 quart sauce pan until just melted. Remove from heat. Stir in the flour, salt, seasonings. (This will make the rue). I mash the flour mix into the butter with the back of a wooden spoon or spachula, until all the lumps of flour are gone, and it is smooth. Add a little milk at a time and work the flour into the milk the same way. Once all the milk is added, return to heat and cook over medium heat, STIRRING constantly, until the sauce starts to bubble (boil). Remove from head. Add ½ cup of grated parmesan cheese. Vegetables: (Mix/match whatever your have) about 4 cups chopped or sliced in strips. All veggies need to be sautéed until slightly limp. Note: I sautee all veggies in EEVO (extra virgin olive oil or with minced garlic). • E ggplant – 1 large or 2 small. Peel and slice vertically into ¼ inch slices. Sautee in olive oil or vegetable oil over medium heat until softened. You need enough to make one layer of the lasagna. • Squash – any kind, yellow, zucchini, whatever. I julienne slice them. • 1 green, red or yellow (any sweet) pepper. Cut in chunks. • Other veggies: carrots, mushrooms, broccoli, whatever you have. 350 degrees for about 35 minutes. Cool 10 minutes, then serve.